Bio-Link began with the goal of helping instructors and colleges across the nation identify the best ways to prepare students for the biotechnology workforce. This goal encompasses identifying the critical content knowledge and skills needed for jobs at entry level and more advanced positions and finding pathways for students update and improve their skills after entering the workforce. Not only do students need educational resources, the dynamic nature of the industry also requires biotech instructors to learn new skills throughout their careers. 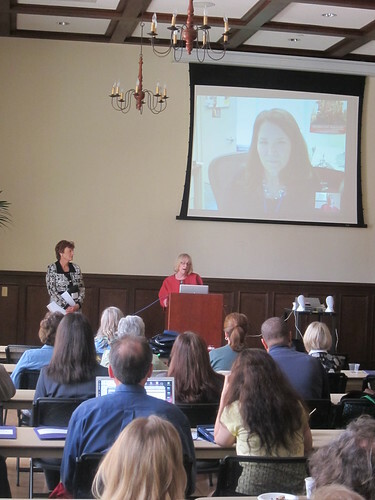 Bio-Link addresses these needs by connecting instructors to each other in a national network, through professional development confrences, workshops, and webinars, and by helping instructors share materials via Course in a Box and other resources. These activities are summarized in the monthly Bio-Link Newsletter. The panels below summarize the resources and opportunities that are available to instructors and Bio-Link members. 6 years ago ago by Bio-Link. The Bio-Link network consists of 112 programs. Together these programs offer degrees and certificates in 44 topics. In addition, 50 K-12 schools partner with Bio-Link to increase students' knowledge of biotechnology careers. Bio-Link Programs are located at 2 and 4 year colleges that offer degrees and certificates in biotechnology-related area and prepare students to work in a bioscience career. Programs are located through the US. Click on a marker to view a program. You can also learn more about Bio-Link Programs and view a larger map with K-12 affiliates.